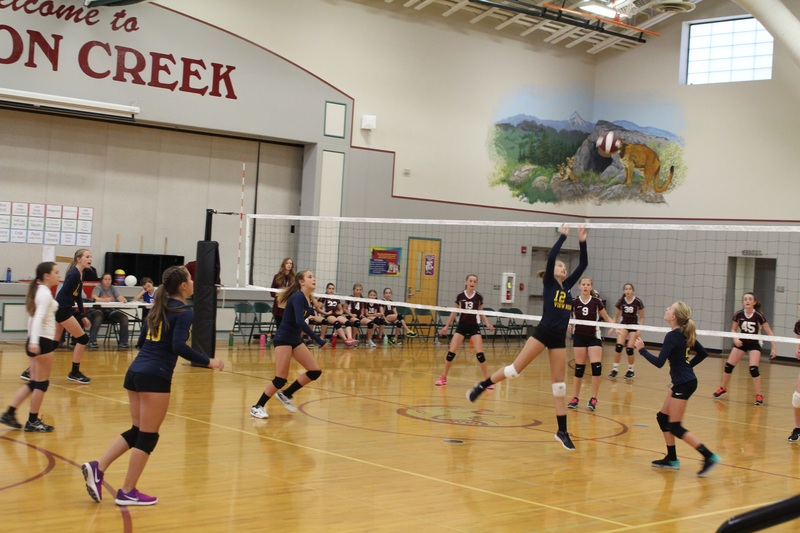 The View Ridge Middle School girls’ volleyball program is nearly unbeatable in the 2016 season. The combined match win-loss record for the school’s five teams totals 41 wins and 4 losses. Perhaps more impressively, the girls won 123 of 135 sets played (best of three sets, which is typical of middle school games). The players and coaches will tell you that they are not obsessed with winning. At a school committed to “high levels of character development and academic achievement,” winning is the icing on the cake compared to focusing on core covenants and getting better every day. View Ridge is one of the few area middle schools that makes sure that every student gets to participate in its athletic programs, even if it means forming more teams. This year, the school put together five teams to accommodate approximately 60 girls--nearly one-third of all girls in the school. The teams include students ranging from highly skilled, experienced athletes to students playing a sport for the first time. One can’t help but notice a high level of focus and attention to technique, but more importantly, the encouragement demonstrated by coaches and teammates at View Ridge volleyball games. 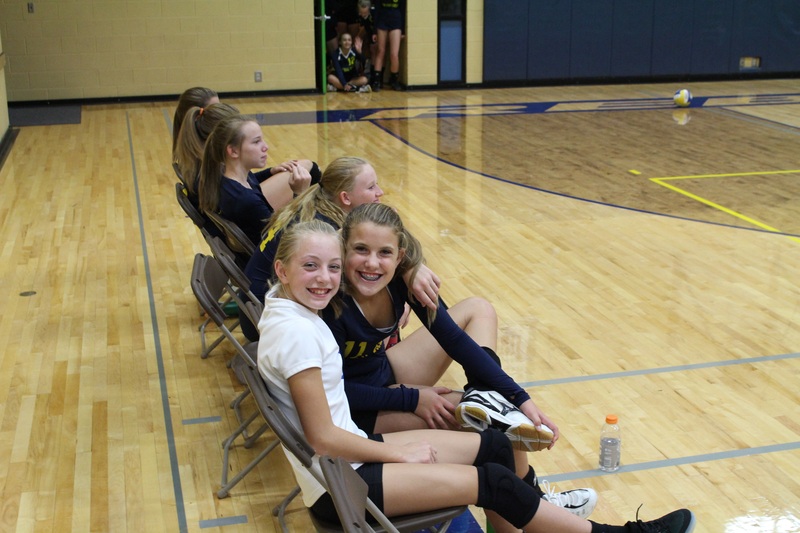 The girls play with joy, humor, and always with an extraordinary belief in their abilities on the court. Coach Allyson Ames, a former collegiate player at Gonzaga University, believes this attitude comes from an excellent coaching staff. She is assisted by fellow coaches Chon Clayton, Nam Nguyen, Jason Buffum, and Nick Veys. She also credits the staff as a whole, saying “we have great coaches that keep practices engaging and fun. Every girl gets better with every touch on the ball.” The coaches keep things upbeat with team bonding events (featuring pizza or ice cream), secret sister exchanges, and other chemistry building exercises. At every practice and game, the staff can be seen coaching the athletes at every skill level, providing a valuable experience for each student that extends far beyond the sport. Jaynie Murray, a member of the 8th grade team, spoke about this after the season ended. “We were very successful because on our team, we were kind to everyone. If someone made a mistake, we encouraged them,” she said. She talked about how fun it was to be a part of a team and to represent View Ridge when playing at other schools. Her teammate, Willow Wuori, added that the team was “really good about working together and communicating and having good chemistry.” While the team experienced a great deal of success, Wuori reflected on her team’s only loss as the biggest learning experience. “The Hockinson game put things in perspective that we have to keep working hard and getting better,” she said. The future of Ridgefield girls’ volleyball is bright due to the foundation set at the middle school level. 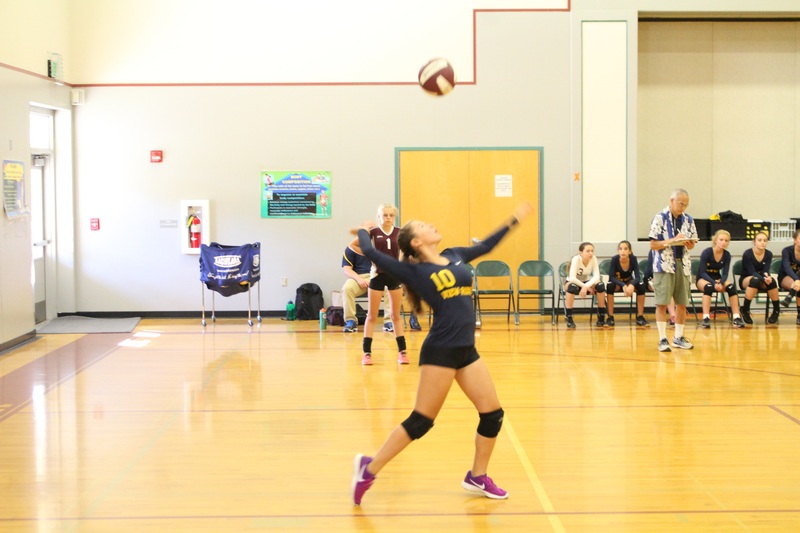 But more importantly, the girls on the View Ridge Middle School team are gaining skills and experiences that will serve them well far beyond the volleyball court.